The competition between Eczacıbaşı VitrA and crosstown archrivals Vakıfbank will continue in the 2017 FIVB Volleyball Women's Club World Championship. Vakıfbank, Volero, Volei Nestle and holders Eczacıbaşı VitrA will complete the lineup for the 2017 FIVB Volleyball Women's Club World Championship, set to be held from May 9-14 in Kobe, Japan. The qualification of the European clubs, however, is pending the outcome of the 2017 Champions League (April 22-23 in Treviso), from which the winner is also guaranteed a spot in Kobe. The four clubs, all of which have featured on the podium of past FIVB Club World Championships, join hosts Hisamitsu Springs of Kobe, reigning Asian champions NEC Red Rockets of Kawasaki and reigning South American champions Rexona Sesc Rio de Janeiro. The Red Rockets only last weekend beat Hisamitsu Springs for the 2017 Japan V.Premier League title. Meanwhile, regardless how their European adventure pans out, Eczacıbaşı VitrA will get the chance to defend their 2016 world title in a quest for their third consecutive gold in the competition. Eczacıbaşı, currently in the semifinals of the Turkish League and competing in the Champions League Playoffs, won the 2016 FIVB Volleyball Club World Championship in Manila, after a five-set win over Italy's Pomi Casalmaggiore. A year earlier in Zurich, they had defeated Russia's Dinamo Krasnodar 3-1 for the 2015 title. On the other hand, Eczacıbaşı's crosstown archrivals Vakıfbank were world champions in Zurich in 2013, after a 3-1 win in the final over Rio de Janeiro. That was after a silver medal in 2011 in Doha, when they came second to Azerbaijan's Rabita Baku. Last year in Manila, they beat Volero 3-1 for the bronze medal. 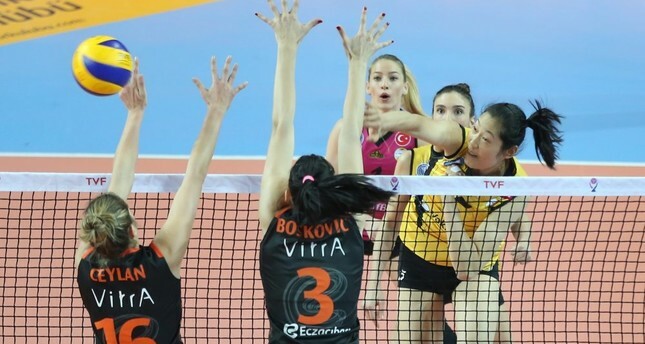 They finished top of the Regular Season table and are now in the semifinals of the Turkish League, as well as up against Volero in the Champions League Playoffs. Vakıfbank celebrated their last FIVB Volleyball Club World Championship gold in Zurich in 2013. Meanwhile, Volero had two unsuccessful attempts at a podium finish in 2013 and 2014, before finally beating Rio de Janeiro 3-0 in the bronze medal match of the 2015 edition. They have won the Swiss national championship 12 times in the last 13 years and are heading for their 13th in this year's Playoffs, in parallel with their European Champions League duties.Volero dropped off the podium last year in Manila, after losing to Vakıfbank in the bronze medal match. Volei Nestle were crowned world champions in 2012 in Doha after shutting out Rabita 3-0 in the final. They have also won a couple of silver medals in 2010 and 2014, as well as bronze in 1994 and 2011. They are the most prolific club in the medals table and second only to Eczacıbaşı in the ranking by color of medals.